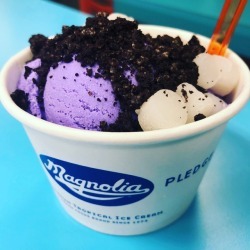 Come to the 8th Hawaii Geek Meet on July 12! It’s pretty obvious that I love attending and covering local science and tech events, and I’m so happy to see that there are more and more cool things to see and do around town. But once a year, I take a deep breath and cast a wide net across the net to organize a gathering myself: the Hawaii Geek Meet. The first Geek Meet was in 2008. I was inspired by the Maker Faire in California, which back then was not the massive, globally franchised movement it is today. What appealed to me most was the “outdoor midway” they had set up, which looked like a science fair gone wild, scattered out in the open rather than lining the walls of a ballroom. There was no shortage of standard-issue tech conferences held in standard-issue meeting rooms. But earlier that year, my friend Burt Lum had organized the first Unconferenz, an attempt to turn the model on its head, dropping the keynotes and sponsor pitches and making the participants the focus. I envisioned the Geek Meet as taking things a step further, knocking down the walls and spilling out into the great outdoors. Geeks everywhere could use more sun, I reasoned, and we do live in Hawaii. And the last paradigm I wanted to shift was the inclusion of kids and families. Believe it or not, I joked at the time, geeks do sometimes find mates and create offspring. Why not celebrate that, and expose the next generation of geeks to some interesting and inspiring ideas? Of course, that first geek meet was pretty small. As an obvious sign of my naiveté, the date I’d chosen was the same day as Kawaii Kon, then in its second year and already a major draw for local geeks. But over the years, the event grew, found a passionate core of regulars, and started to fill out that early vision of a casual, open, family-friendly celebration of geeky things. 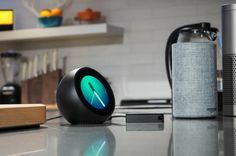 What’s been especially exciting is how the definition of a “geek,” both for this event and in the broader sense, has evolved in just the past eight years. There is always strong representation from technical fields and hobbies, from ham radio operators to app developers, from fantasy roleplayers to sci-fi fans. But the proverbial tent is big enough to include anyone with a passion for something unusual or interesting. Photography geeks, gardening geeks, artists, educators, makers… and the connective tissue is a desire to share that passion, and a curiosity to learn about what inspires and interests others. Of course, Star Trek fans remain a core part of the Geek Meet constituency. The Hawaii Geek Meet is a grassroots event (literally, in a way), and for better or worse, isn’t very structured. While it is a barely coordinated, singular gathering of interesting people, it’s more like different companies, groups, and clubs just happened to have their individual summer potluck picnics in the same corner of the park. The result? Some pretty neat crossovers. The ham radio geeks plug their gear into the solar power firm’s sun-collecting panels. The drone pilots make a game out of flying their quadcopters through the hoops set up by the quiddich club. A Storm Trooper gets into a fencing match with a medieval knight. At one tent, you can learn about 3-D printing, and right next door, you can play with LEGO. Today there are a lot of cool science and tech events for kids and families, it’s true. There’s an official, licensed Honolulu Mini Maker Faire, too. But I think there’s still a place in the mix for the Hawaii Geek Meet, and I hope you’ll consider attending this year. I promise, whatever strange twist of fate brought you to this blog, if you’ve read this far, you are totally the kind of person the Geek Meet is looking for. Code for Hawaii: Volunteers interested in the application of technology to make our communities better. Dev League: Transforming motivated individuals into professional front-end web developers. 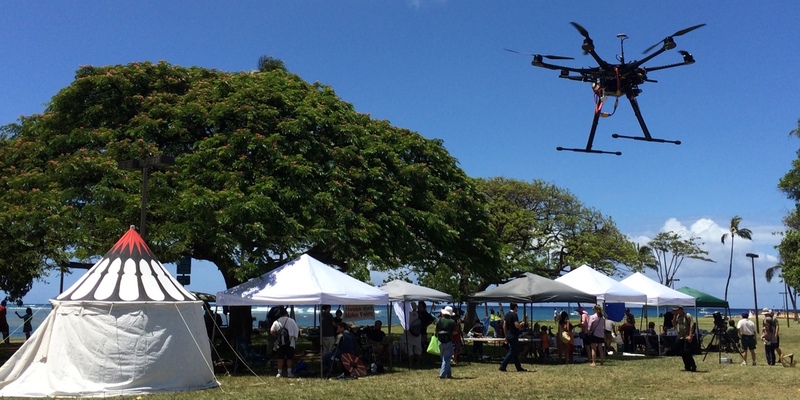 Drone Services Hawaii: Sales and service for a variety of drone products. Emergency Amateur Radio Club: Dedicated to amateur radio transmission, reception and experimentation. GreenPath Technologies: A full service solar power systems integrator and contractor. 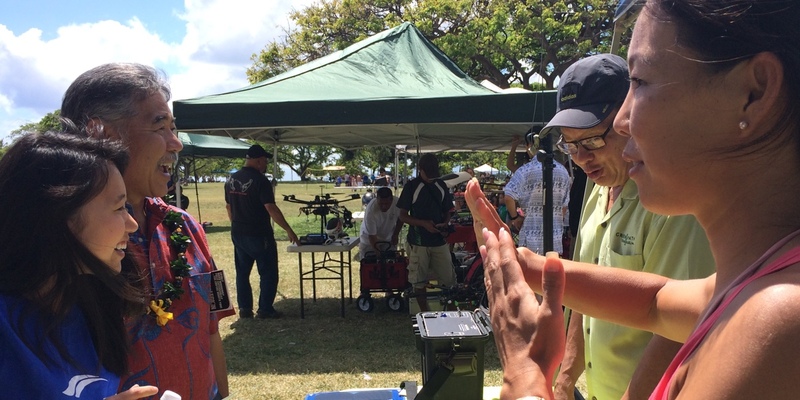 Aloha State Radio Control Club/Hawaii Drones Group: Radio controlled aircraft and quadcopter pilots and enthusiasts. 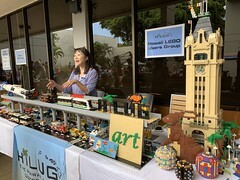 Hawaii LEGO® Users Group: Dedicated to spreading the joy of those irresistible plastic building blocks. HI Capacity: Honolulu’s first makerspace. A creative collective focused on turning dreamers into doers. Comic Con Honolulu: A 3-day All-Genre convention that takes place at the Hawaii Convention Center, July 24-26. 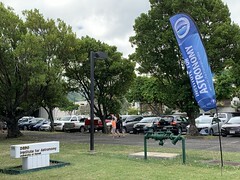 Institute for Astronomy: Manages observatories, and conducts research into the stars, planets and galaxies. Oceanit: Global innovators who take challenges and turn them into solutions. Pacific Outpost of the 501st Legion (tentative): Bringing together costume enthusiasts to promote interest in Star Wars. 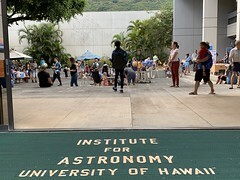 Science Communicators Ohana: A collective at UH Manoa committed to increasing scientific literacy in society. TechHui.com: A forum for Hawaii’s tech community, and those interested in technology ventures in the islands. The Last Outpost: A friendly organization of fans of science fiction. ThinkTech Hawaii: Working to raise public awareness and promote civic engagement in Hawaii. Watashi No Ryū Karate-do: Based on traditional Okinawan karate, and blending various other influences. There are certainly more organizations joining the mix, and if you are part of a club or team that is geek friendly, you’re more than welcome to participate as well. (There’s no registration process, or really any rules or requirements, apart from “no selling”). Just let me know if you’d like to be added to the list… or if you can suggest someone I should invite! 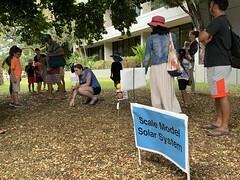 Want to get more of a feel for what a Hawaii Geek Meet is like? You can browse photos across Flickr tagged hawaiigeekmeet, or you can check out some videos from last year’s event. 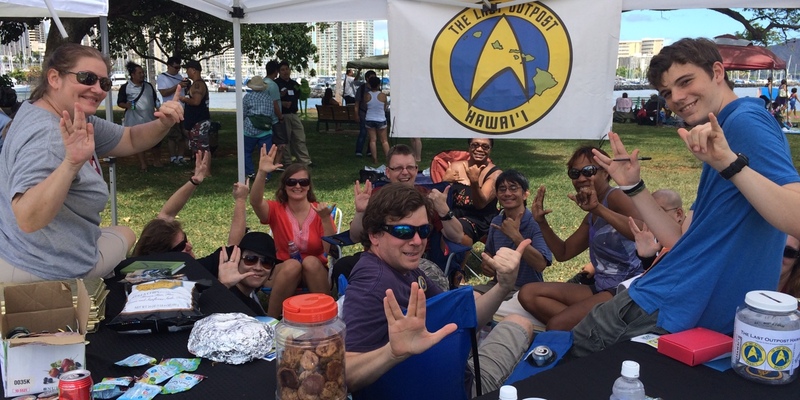 This year, the Hawaii Geek Meet is being held on Sunday, July 12 at Kapiolani Park. 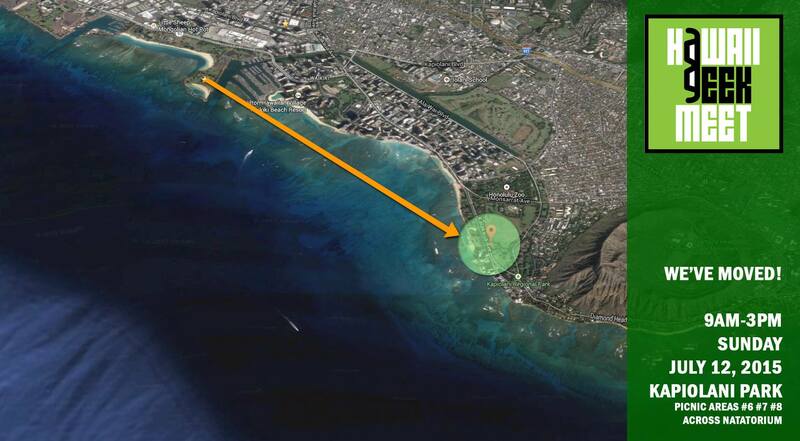 This is a new location for us, across from the Waikiki Natatorium. It starts roughly at 9 a.m., and winds down beginning at 3 p.m., though people do show up at dawn and hang around until sunset. For more information, you can visit HawaiiGeek.com (which was built in 2008 using a tool that I think even Google forgot it built, and looks like it). You can also check out the Hawaii Geek Meet page on Facebook, or follow @HawaiiGeek on Twitter, where I sometimes remember to post updates. Finally, you can RSVP and invite your friends with the Hawaii Geek Meet 2015 event page on Facebook. I am the owner of the Hawaii Parachute Center, a rigging loft located at Dillingham airfield. And I am a “GEEK” big time. Can’t wait to meet up with more of my own kind.